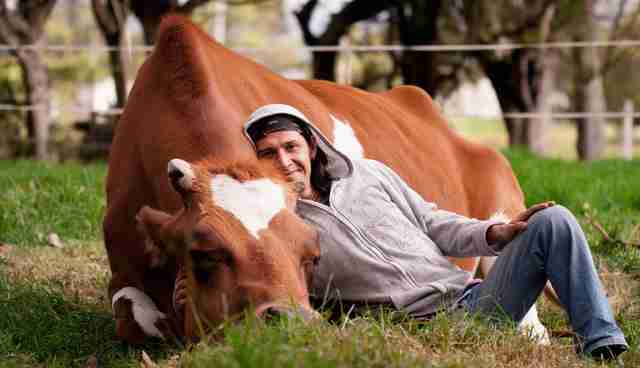 They call him the "gentle giant," but not too long ago he was just a calf with an uncertain future. 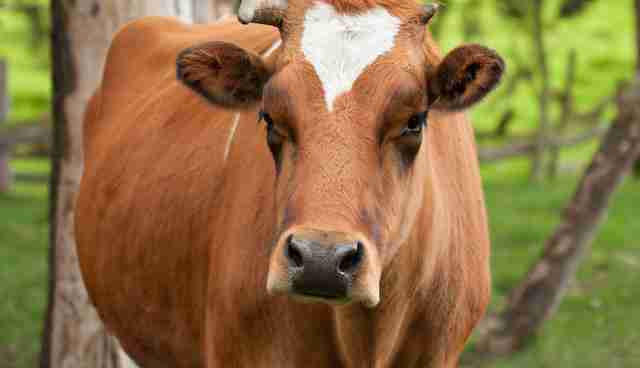 Balarama the ox is the son of a dairy cow who escaped from the farm. 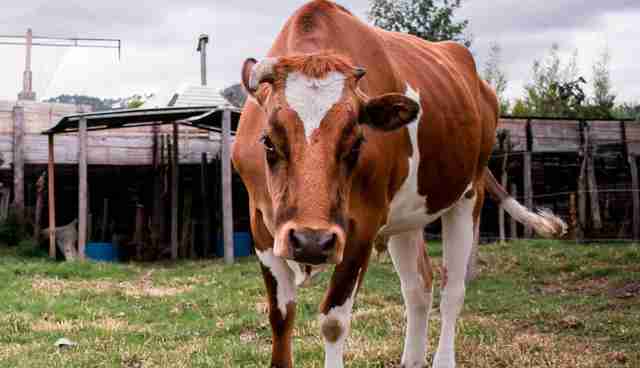 In a stroke of incredible luck, she happened upon the only farm animal sanctuary in the South American country of Colombia, Juliana's Animal Sanctuary. Rescuers at the sanctuary believe that Balarama's mother knew instinctively that her calf would be destined for a less-than-happy life. 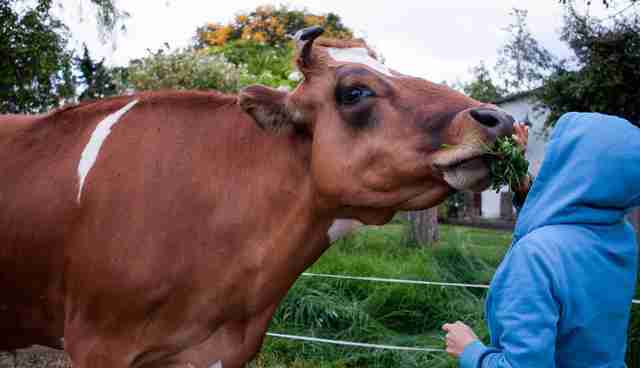 If the calf was a girl, she'd be constantly bred so that she'd keep producing milk. 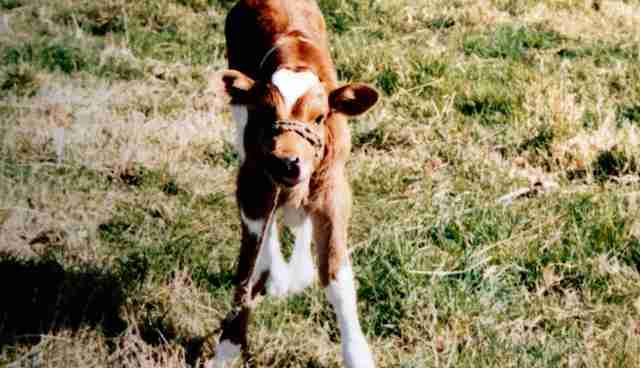 If the calf was a boy, he'd be sold as meat. In the few hours Juliana's Animal Sanctuary gave the mother cow shelter, she gave birth to a tiny calf. It was a boy. Then the dairy farmer arrived. 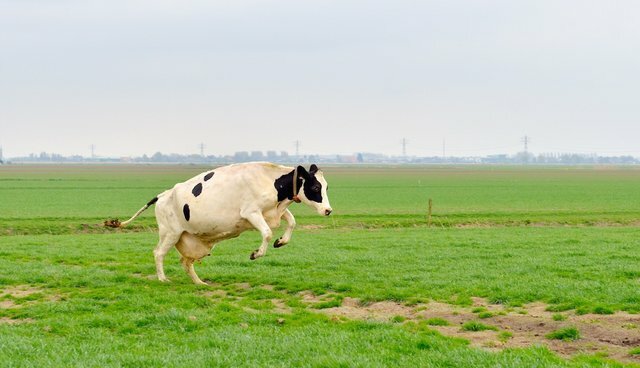 The farmer was prepared to take both mother cow and calf away, but the people at Juliana's farm just couldn't let the baby, so new to the world, get sold to a place designed to kill him. They begged the farmer to let them buy at least the boy, who was of no use to him. Amazingly, the farmer finally agreed, for a price. Balarama's right to live his iife was bought for $100. While his mother wasn't so lucky, the white fur on her son's forehead is in the shape of a heart, as if in memory of the love that kept him alive. Thanks to his mother's escape, however brief, Balarama has had the fortune so many others haven't: He's gotten to grow up. Balarama lives happily among 65 other rescued animals at the sanctuary, which relies entirely on the help of the public to stay afloat. 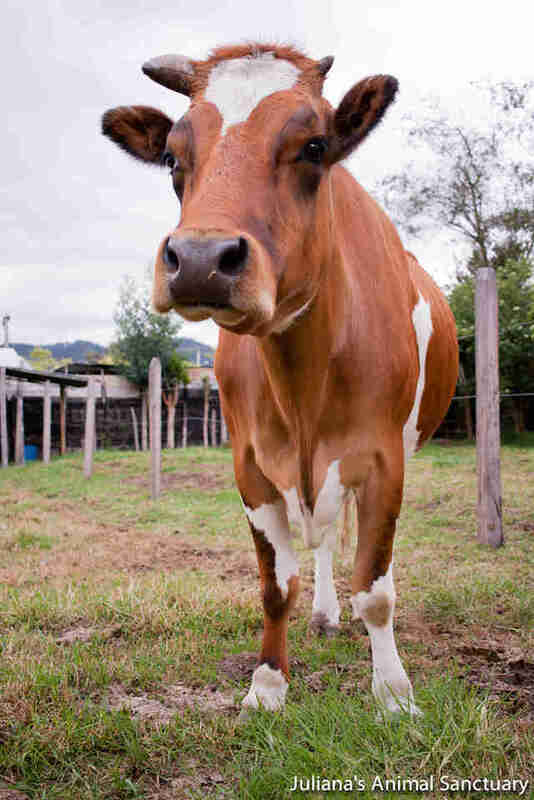 Juliana's Animal Sanctuary is the only sanctuary of its kind in Colombia. You can help them continue to save animals like Balarama here. We're so glad Balarama has grown into the large life he deserves.